Our course locations vary greatly climatically, culturally and geographically. On site we have people with specialist knowledge to share with students. This could vary widely from medicinal plant knowledge in natural forest environments to alternative economics to how to build traditional clay ovens, rocket stoves or eco-buildings. We each have our own path to healing ourselves and the earth in which we live; Luke’s medicine is delicious, vital food. 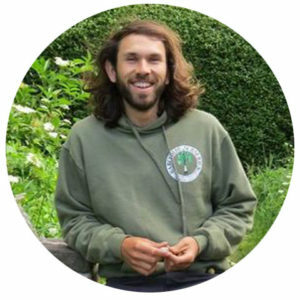 In his words: “Nutrition is a universal need that bridges any culture, penetrates the hearts of billions and unites nearly every creature and kingdom on the Earth.” Luke completed a degree in Economics at the University of Sussex, where he was introduced to permaculture. He realised the need to tread more lightly upon the Earth, and so laid roots within the sphere of ‘alternative living’ and regeneration, especially while imbedded at Sunseed Desert Technology, an ecovillage based in Spain. He has been coordinating a community forest garden project called Rodmell Food Forest (www.rodmellfoodforest.org) since 2018 and dreams to invigorate and brighten, using permaculture, cooking and indigenous traditions to illuminate the way. Rory Curtin grew up on an island off the North Atlantic Coast of the U.S. before moving to India at 15 to attend the United World College of India. Here, she realized the value of subsistence farming practices and subsequently dedicated herself to promoting sustainable agriculture initiatives worldwide. As an undergraduate studying Botany at College of the Atlantic, she pursued farming opportunities everywhere from South America and The Caribbean, to Sub-Saharan Africa and the Himalayas. 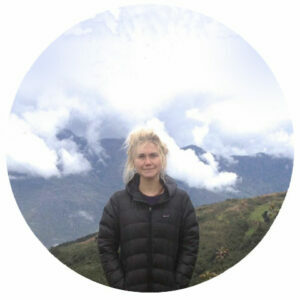 While managing greenhouses for Conservacion Patagonica and establishing a gardening program at the Mosoj Yan girls’ shelter in Bolivia, she realized the importance of pursuing a Permaculture Design Course, and did so in collaboration with the Third Millennium Alliance in the Ecuadorian cloud forest. Rory holds her MA in Global Public Health from New York University, where she focused on urban food security, refugee agriculture, and started a rooftop garden at the UPCO school in Accra, Ghana. 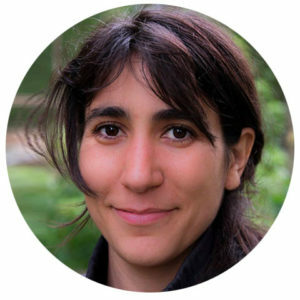 Her current graduate research at Columbia University focuses on the social and ecological effects of globalization and mechanized agriculture in the Himalayan region of Ladakh, India. Since a young age Liselotte has been exposed to many different cultures and landscapes. This opened up fascination and deep respect for the living and breathing world around her. 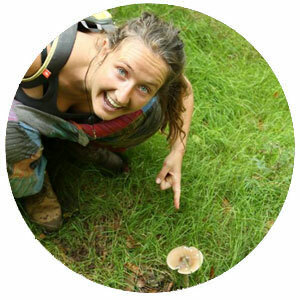 While finishing her studies of Anthropology and Ecology at the University College Utrecht in 2013, she set off to Costa Rica to conduct research for her thesis. This is where she fell in love with a simple way of living, in balance with nature, combining more recent expertise with ancestral knowledge. In 2016 she sat the PDC course in Sunseed where she subsequently ended up coordinating for a year. 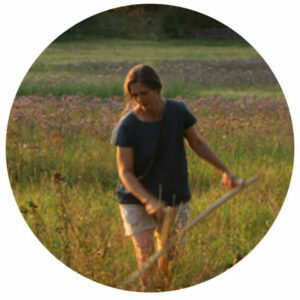 Seeing the transformation in people, their habits, and their way of living, inspired her to keep sharing knowledge and the importance of raising consciousness, using Permaculture as a tool to move forward. Travels through South America in 2014 to 2016 and experiences in the Netherlands and Spain, all led to a desire to share this vision of a more sustainable way of life. The various homesteads and educational projects gave her experience in diverse elements of community living, eco construction, gardening, baking, seminars, preservation, natural cosmetics and medicinal plants. 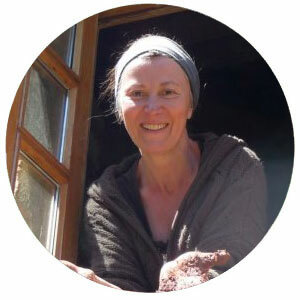 Currently she is enrolled in the International Permaculture Diploma with Gaia University, with the intention to expand global networks and create diverse holistic eco-social alternatives to living. Apart from the wonders and expansive world of Permaculture, she is an animal lover, passionate baker, practices yoga and meditation and loves the art of dance! 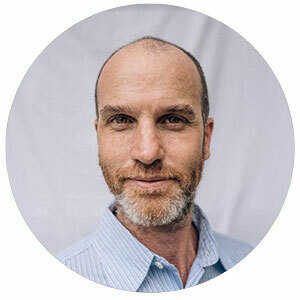 Graham Bell is an internationally known and respected teacher of Permaculture and several underlying disciplines including Forest Gardening and Food Preservation. He has dedicated his working life to helping others achieve the skills to live sustainably. His reputation is built on thirty years’ experience and having worked on five continents and in many different climates and social conditions. 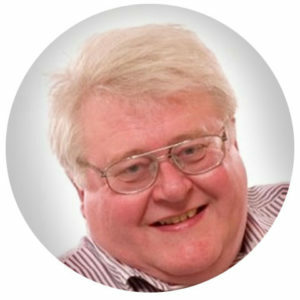 Appointed as the first diploma holder in the UK and arbitrator for new diploma holders in the UK by Permaculture founder Bill Mollison in 1990, he has unrivalled experience in the discipline. 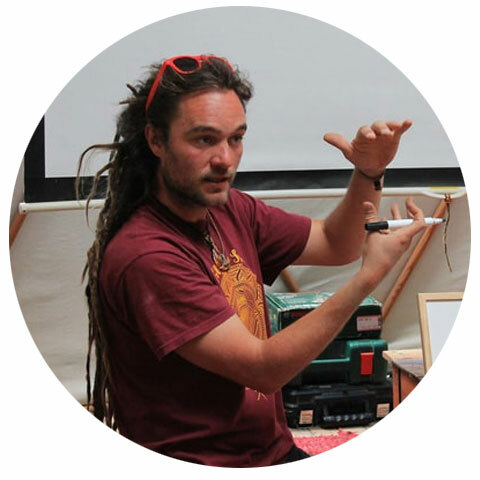 Currently he is Chair of Permaculture Scotland and the UK Education Working Group. He is a qualified electrician, has a Master’s degree in English language and linguistics, is a Fellow of the Chartered Institute of Marketing and the Royal Society for the Arts Commerce and Manufacturing and the author of two books on Permaculture (The Permaculture Way and the Permaculture Garden) and a very large number of articles. His knowledge of plants and trees is legendary. Having taught from the Arctic Circle down to Middle Eastern deserts and sub Saharan Africa his knowledge and experience is adaptable to most situations. He is primarily interested in helping others in confidence and self-reliance with their own work. His own home garden is a mere 800 sq metres (0.08 hectares) which produces 1.25 tonnes of food a year (pro rata 16 tonnes a hectare) 500 trees and 5000 plants for sale, half the household’s energy needs, a soft living room and an amazing teaching space which welcomes (and feeds) a thousand visitors every year from all over the planet (literally). ​Graham is a mentor for George and Wally.